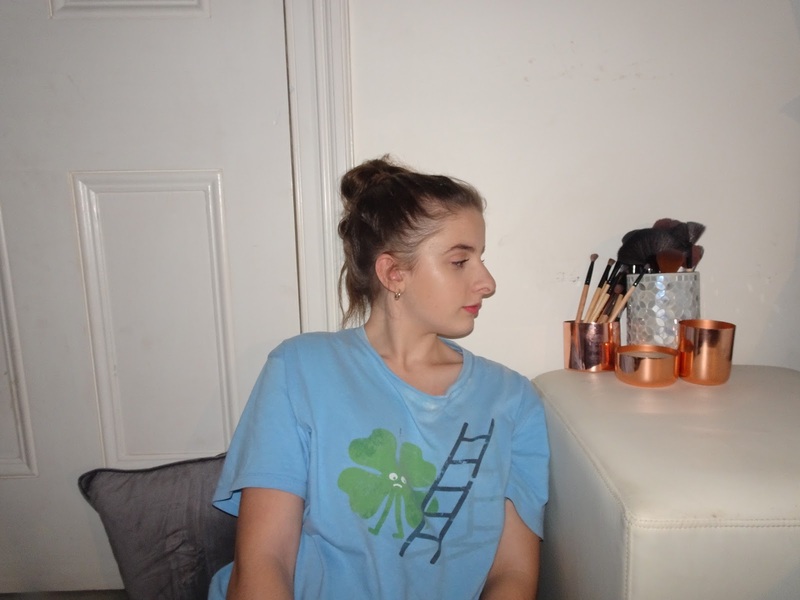 When I get ready for a day my outfit and my appearance changes depending on the season, so I decided to show you step by step what I do and use to get ready for a spring day. So as I always do, I start off by taking a shower, my favourite shower cream at the moment is The Comforter from lush as it is my all time favourite scent from lush and am yet to find a different favourite. 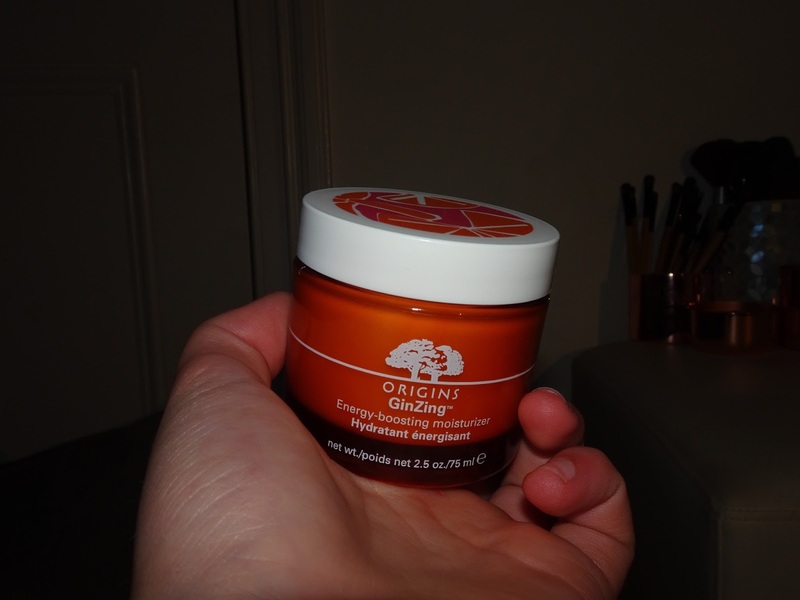 Once out of the shower, I dry my face and put on my Origins GinZing moisturiser, it doesn't feel sticky and heavy once I put it on which I personally hate the feeling. 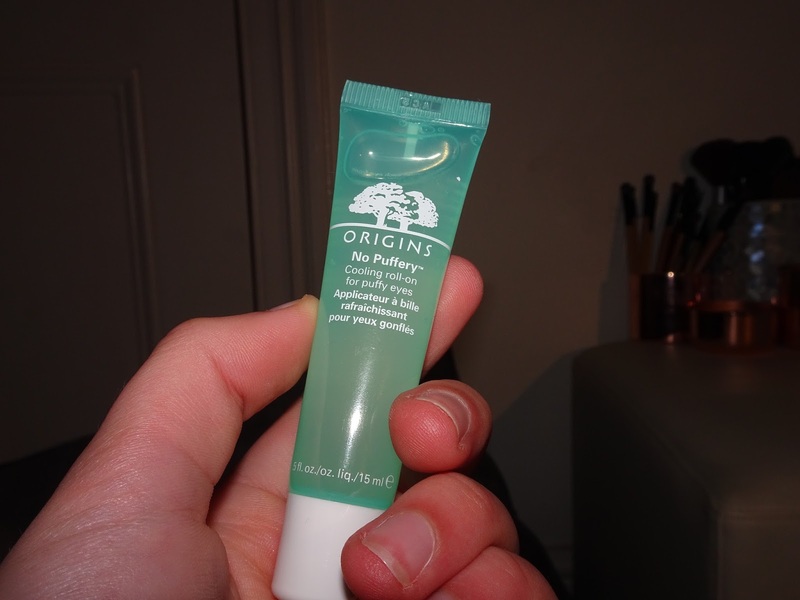 I find that it sinks into the skin really well and smells amazing. I know most people don't like the smell of orange but honestly you need to smell it before judging it, it might just change your mind. 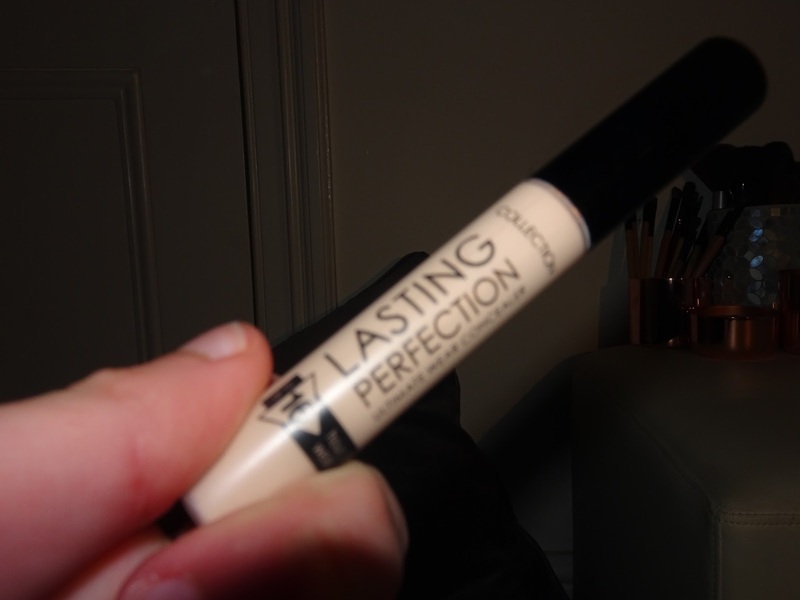 I then go and put this under my eyes and pat it in. 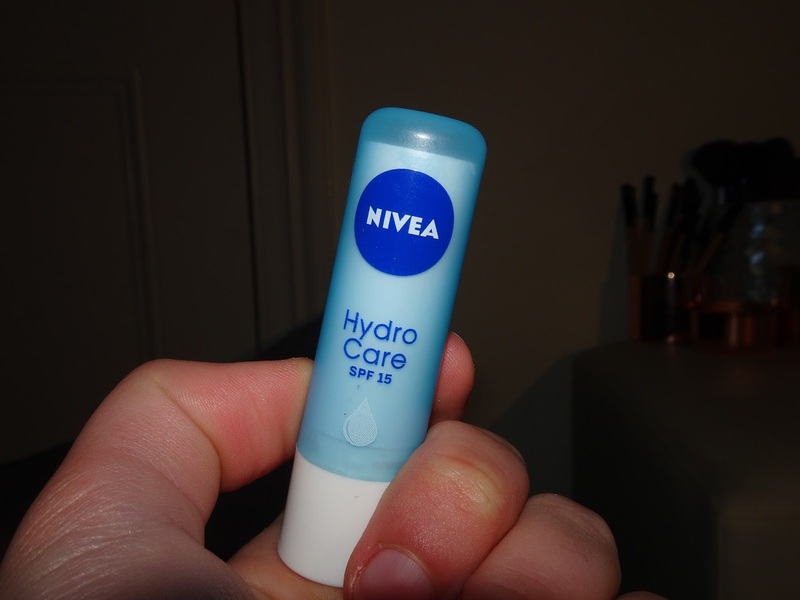 And as usual, I use my trusty hydro care lip balm (I basically can't go a day without this). 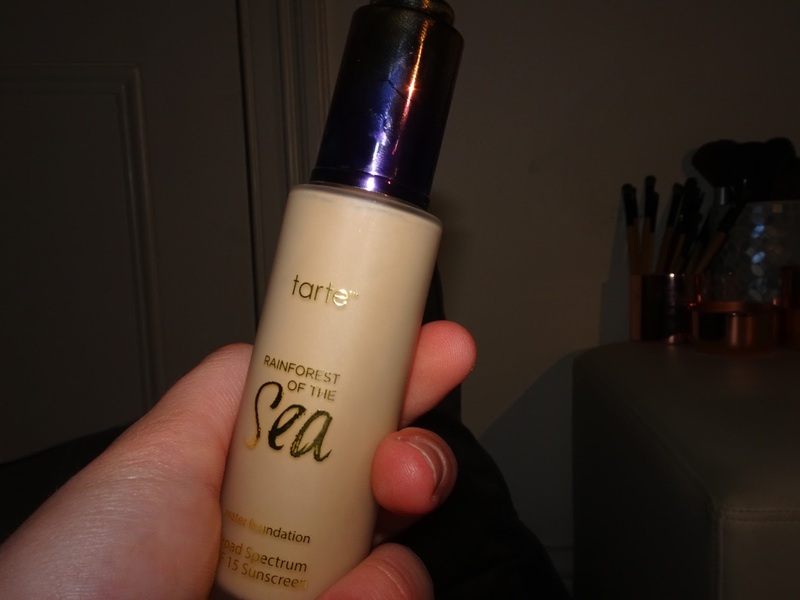 I then don't strive to change my routine by using my tarte rainforest of the sea foundation. I apply this with a wet beauty blender. 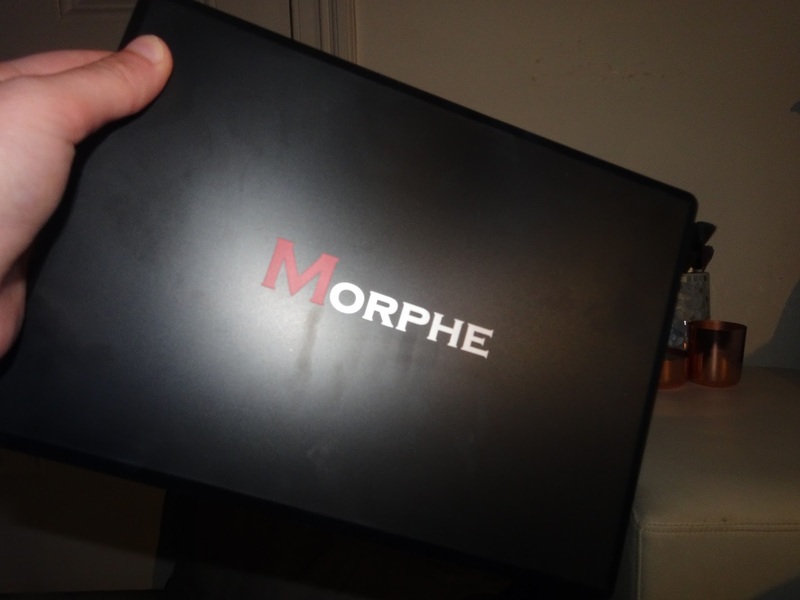 I have recently added a new favourite to my 'collection', I know I am quite late to try this but it doesn't ship to Australia so I tracked it down and got it into my hands. 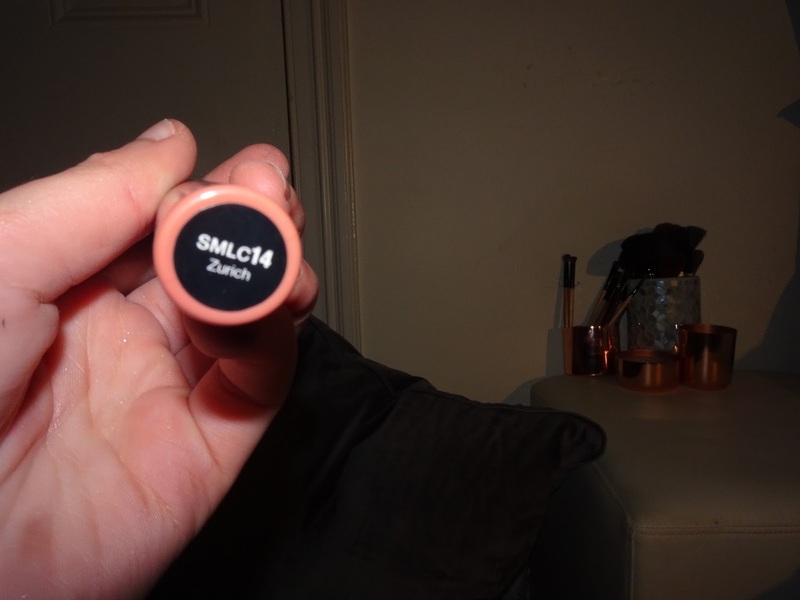 I must say the second shade is definitely not my colour, it is very pink tone, so I'll be staying well away from that. 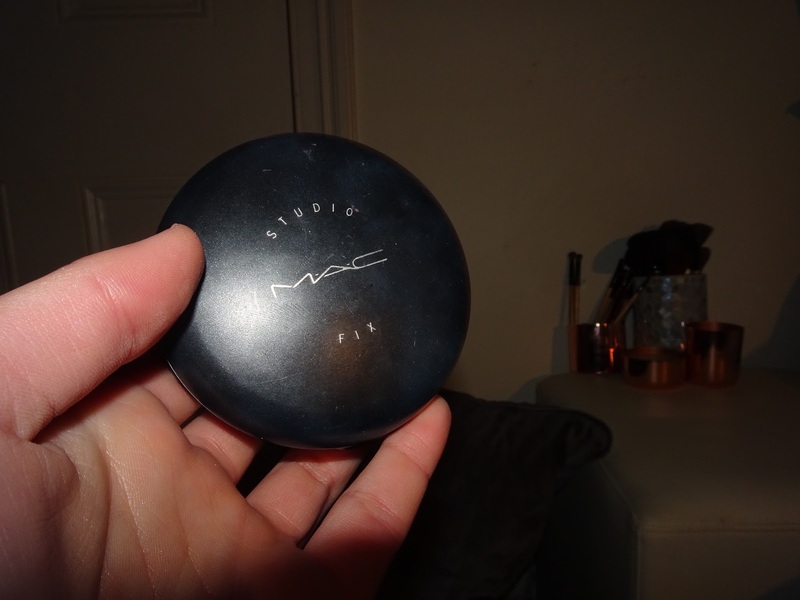 Acknowledging I have hit pan with my MAC studio fix, I use it another time to set my base before I put on blush and bronzer on. 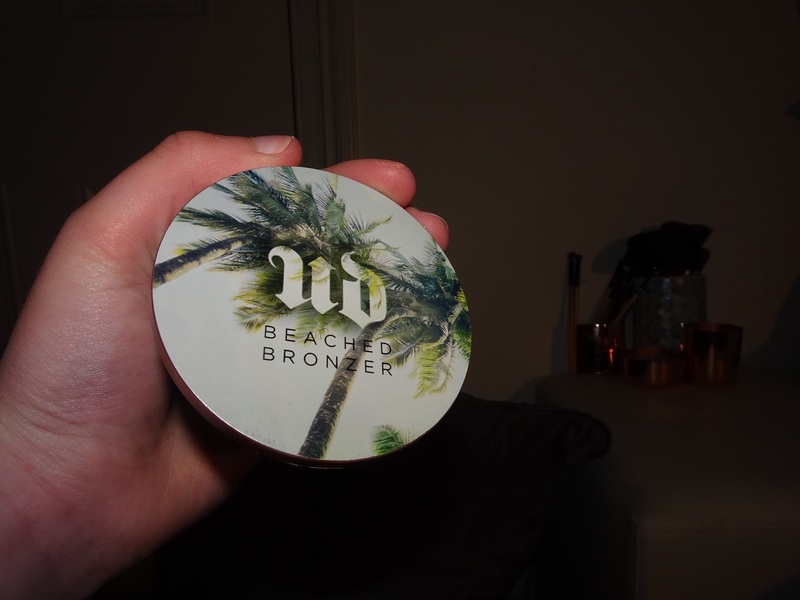 My favourite bronzer from Urban Decay. 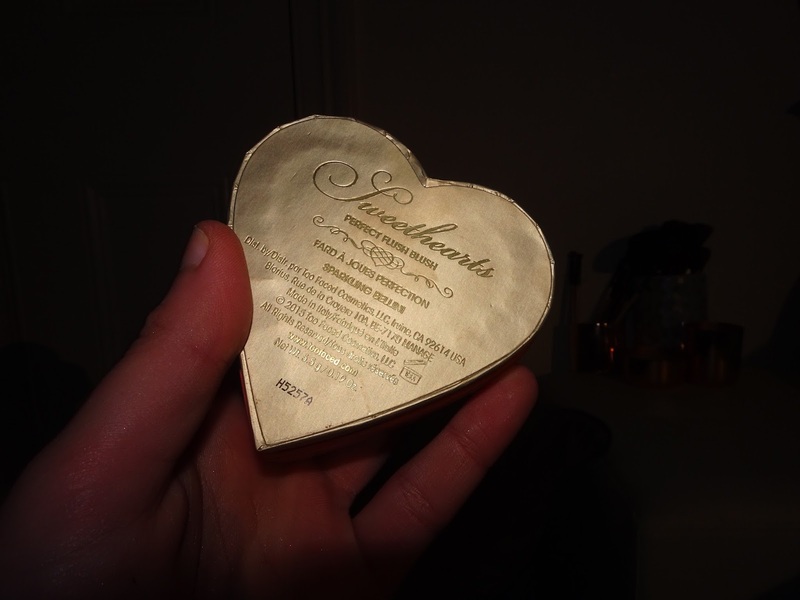 I use it under my cheekbones, on my forehead, where my temples are and under my jaw. 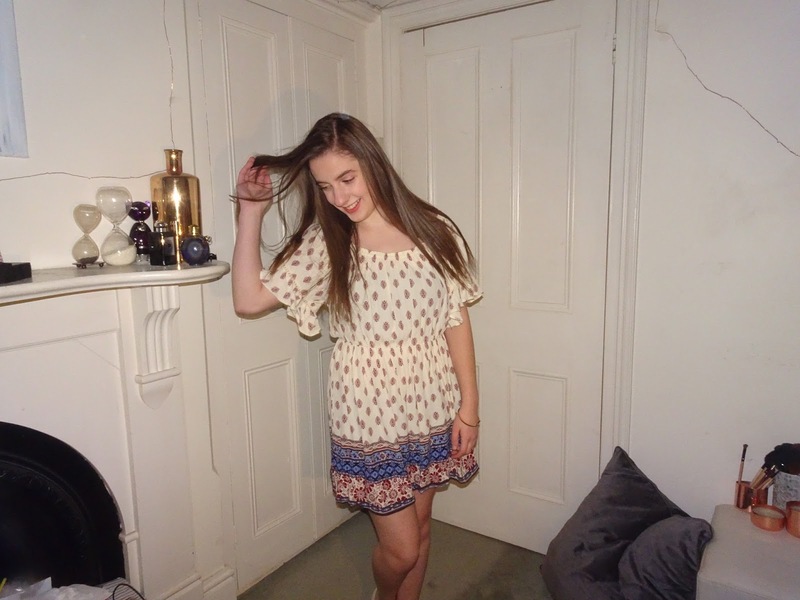 There are so many favourites already said but here's another one! 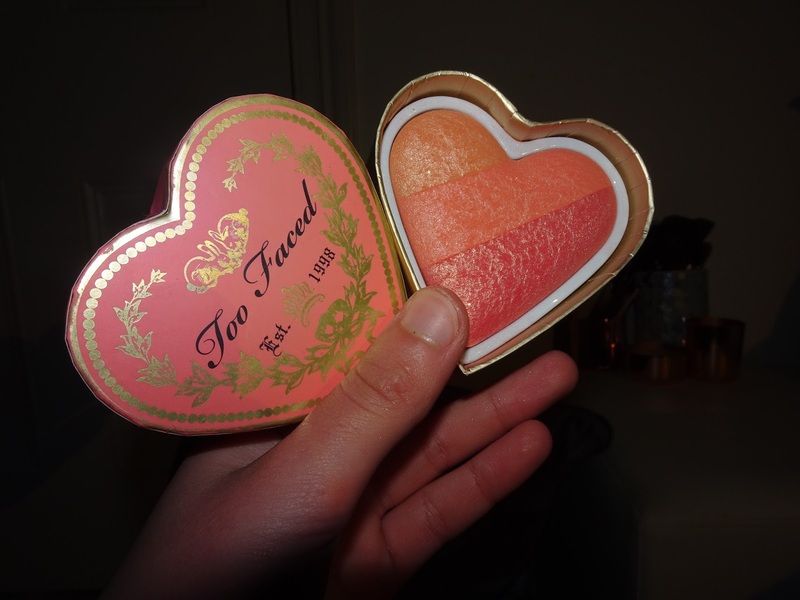 But honestly I love all of Too Faced products. 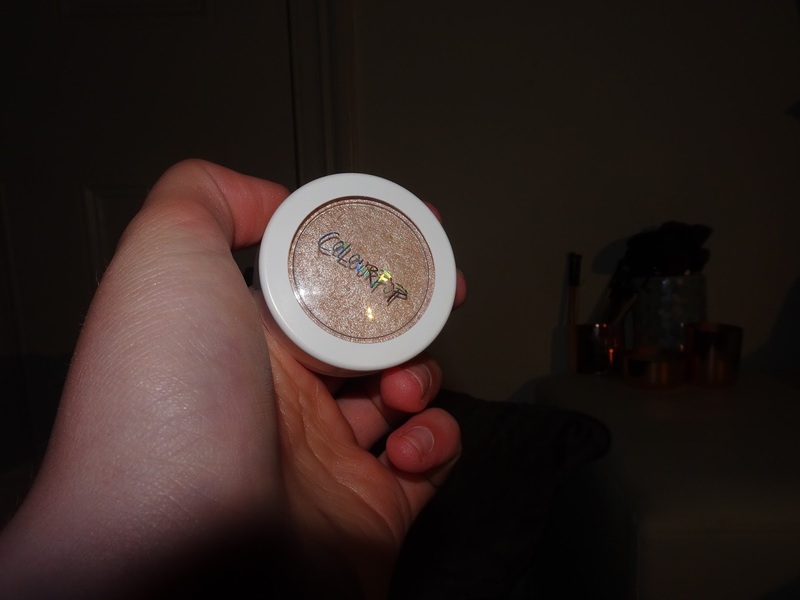 Another new product which has magically made its way into my favourites is this colour pop highlighter, I have another one of these which is a lighter, less champaign colour which doesn't have as much pigment. 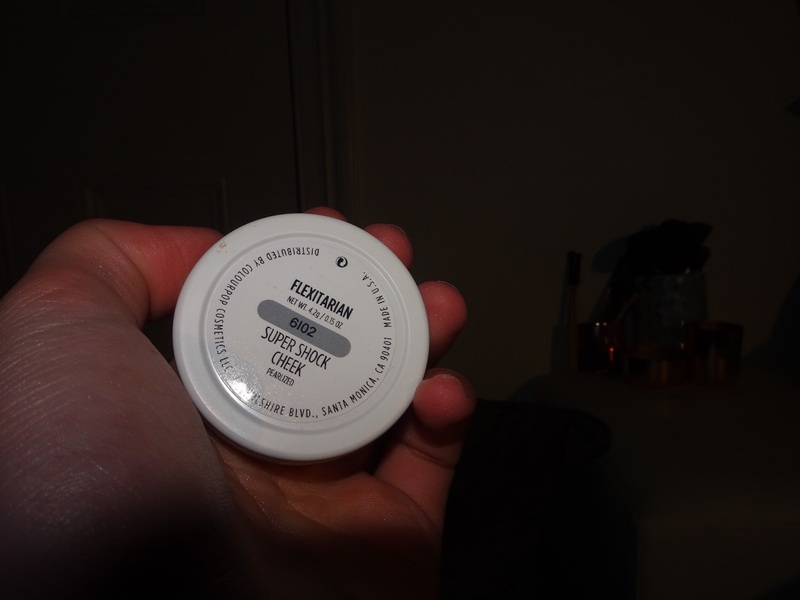 I use this on the tops of my cheekbones and on my cupids bow. 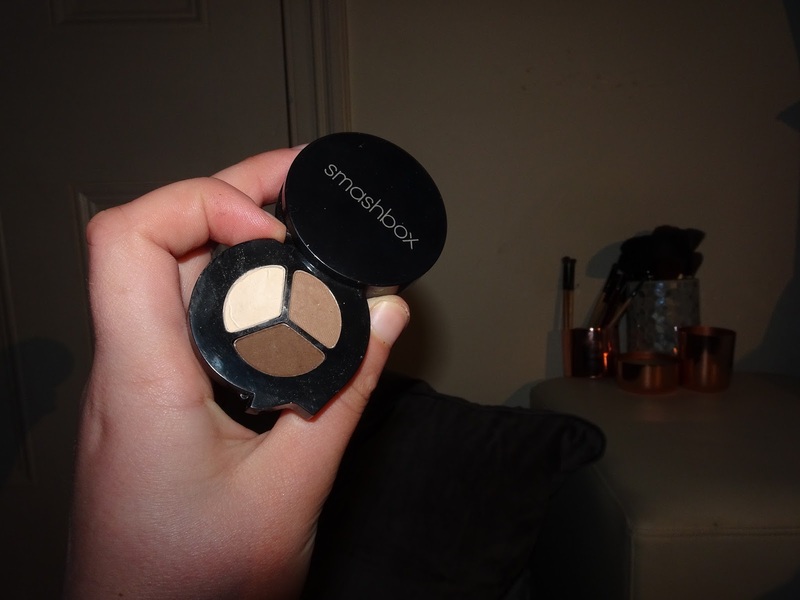 I then use my trusty (not so old) old smash box eyeshadow trio as an eyebrow filler, it just has the perfect colours for my eyebrows and works just as well to give me Cara Delevingne vibes. 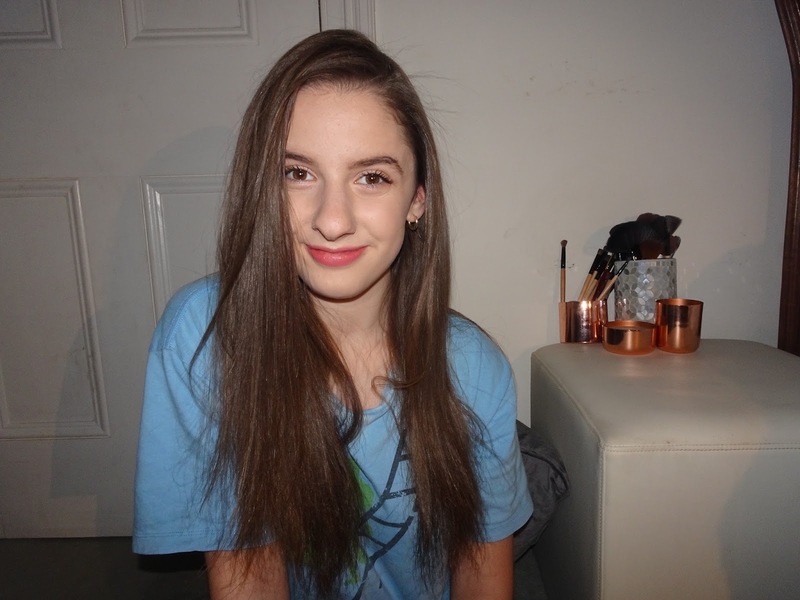 I usually mix the darker brown with the lighter brown so it's not to heavy and then use the lightest shade under my brow bone and on top of my eyebrows incase my eyebrows need to be a bit tamed. 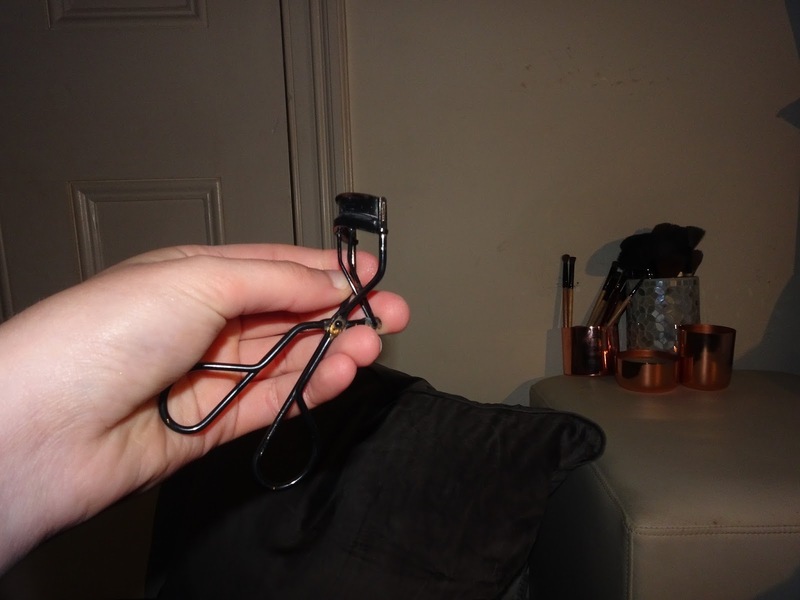 Before I put my eye makeup on I use my eyelash curler so it doesn't wreck my future master piece, just joking but I do actually do this before hand so I don't mess it up or get mascara on it. 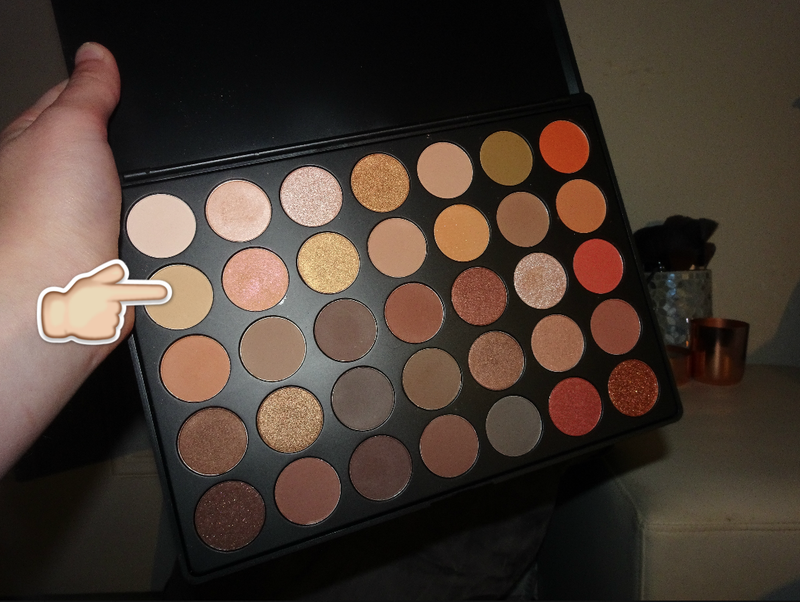 I recently got the Morphe 35O pallet which I was so excited about using, so i'm slowly trying all the different shades and I can already tell which one is my favourite. 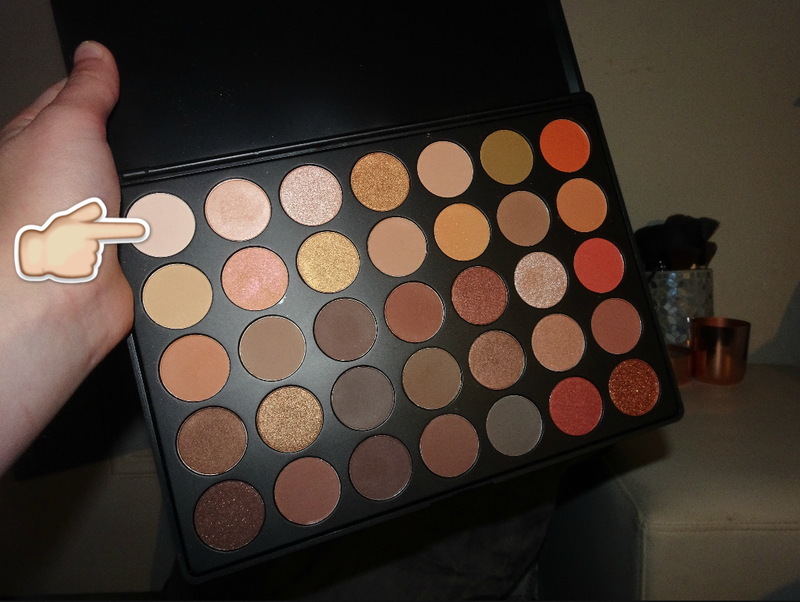 I used this in my crease. 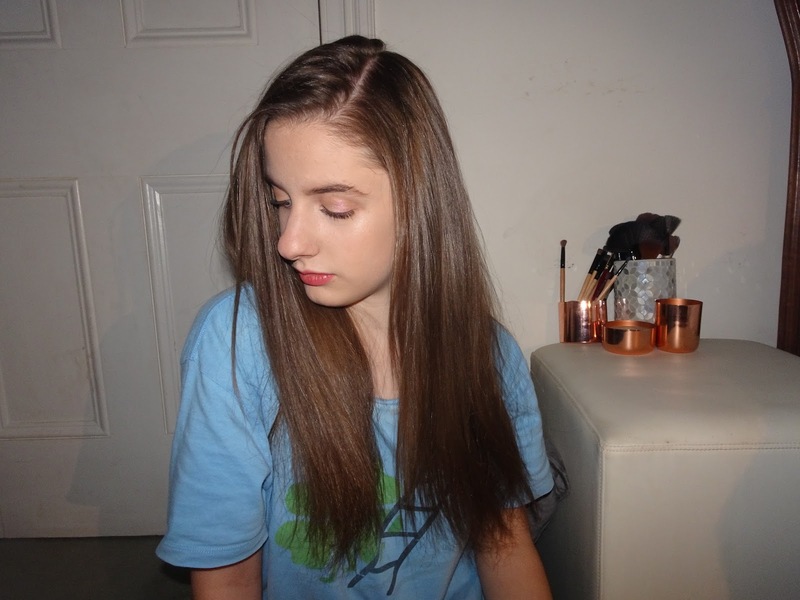 Then I used this colour all over my lid to create a good base. This is my absolute favourite colour from this pallet by far, I haven't tried all of them but this one has a bit of a holographic feel to it and it just looks so pretty. 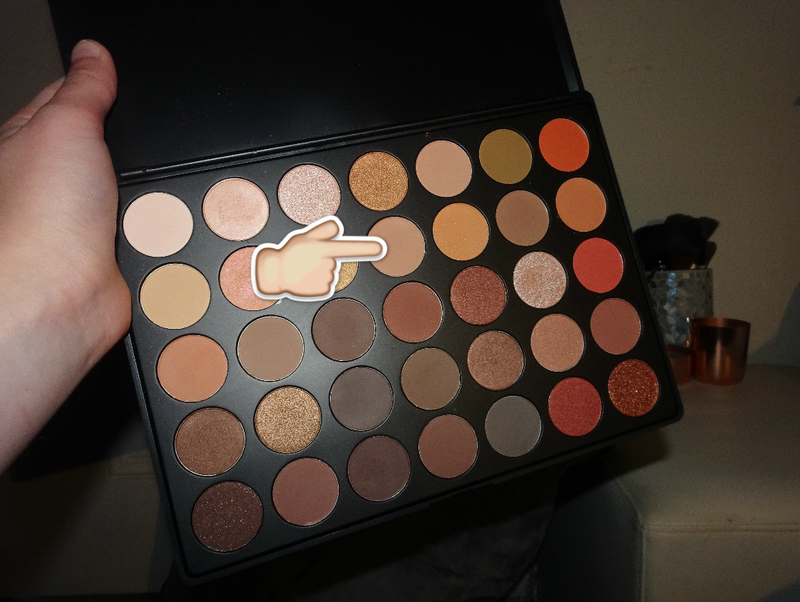 I can already tell that this is my all time favourite colour from this pallet. By saying that I used it over the base colour which made it show up a bit more. 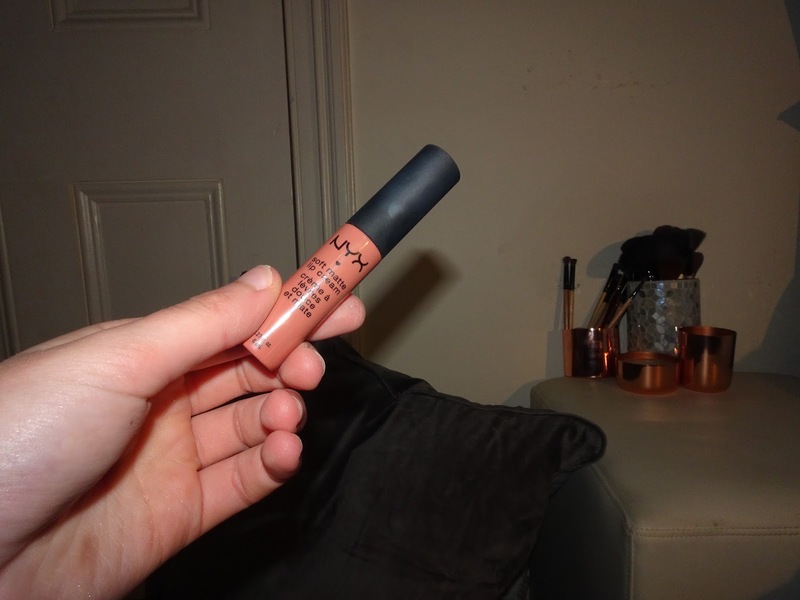 I then use this colour on my lower lash line and outer corners of my lid and crease. 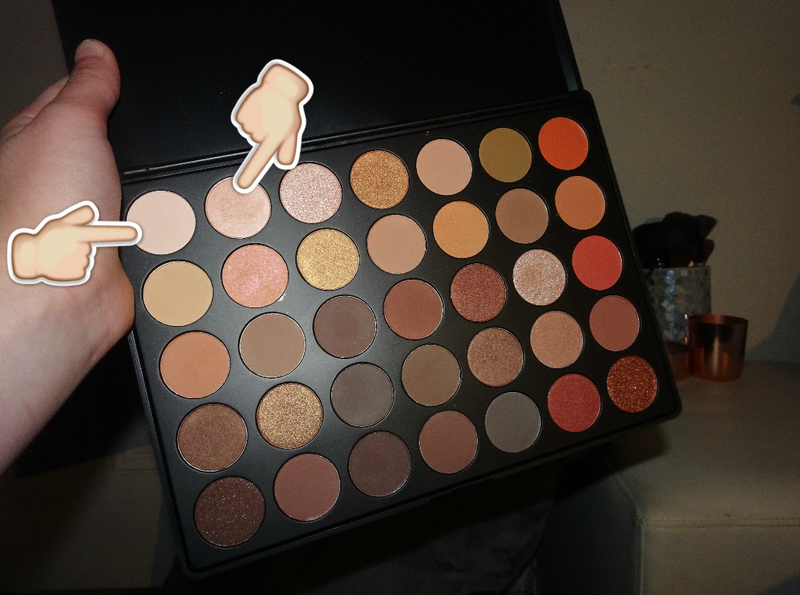 I used both theses colours as I'm still testing out all the shades, I use both on my inner corners of my eyes although I must say my Hidden Treasure pallet has a more pigmented and lighter colour which in my opinion is better although I still wanted to use this to see how it looked. 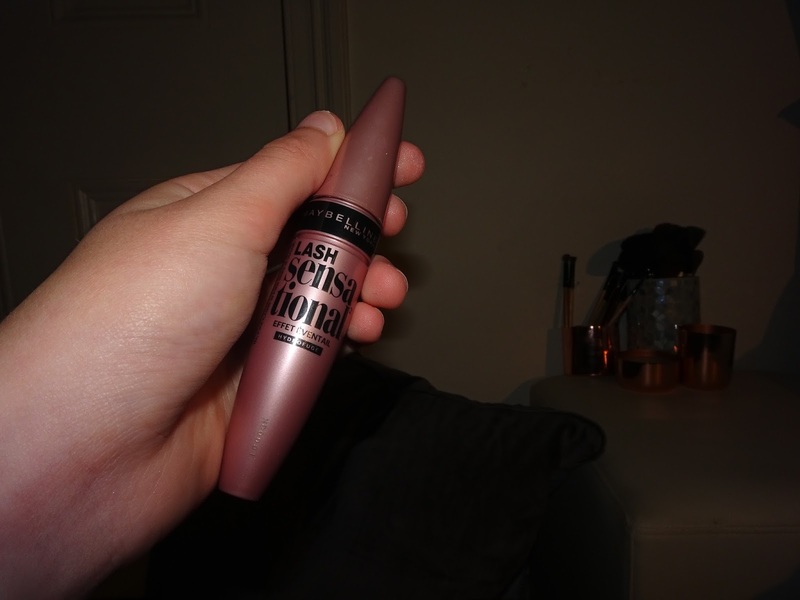 Once I'd finished with my eyes I put on the lash sensational mascara, I always wipe a bit of the residue from the brush off as I don't like to have clumpy mascara, this mascara does a great job when it comes to not having clumpy looking eyelashes, so if you like that which I am totally cool with because my mum prefers that I would not recommend this mascara. 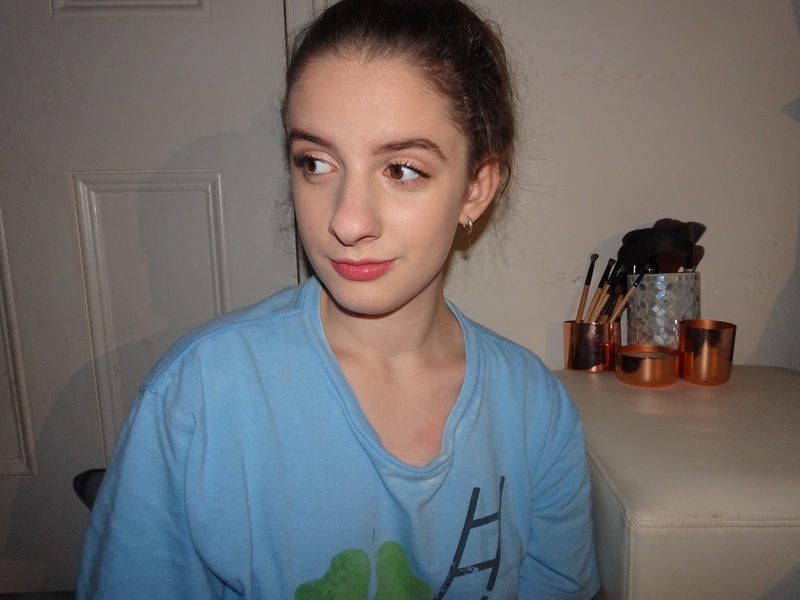 Recently I tried out 6 different shades of NYX soft matte lip cream, Zurich is my favourite colour of liquid matte lipsticks at the moment because it is quite a natural colour with a brown undertone which I am loving at the moment although I want a bit more of a brown tone rather than a pink and brown tone lipstick, so if you have any suggestions comment down bellow. 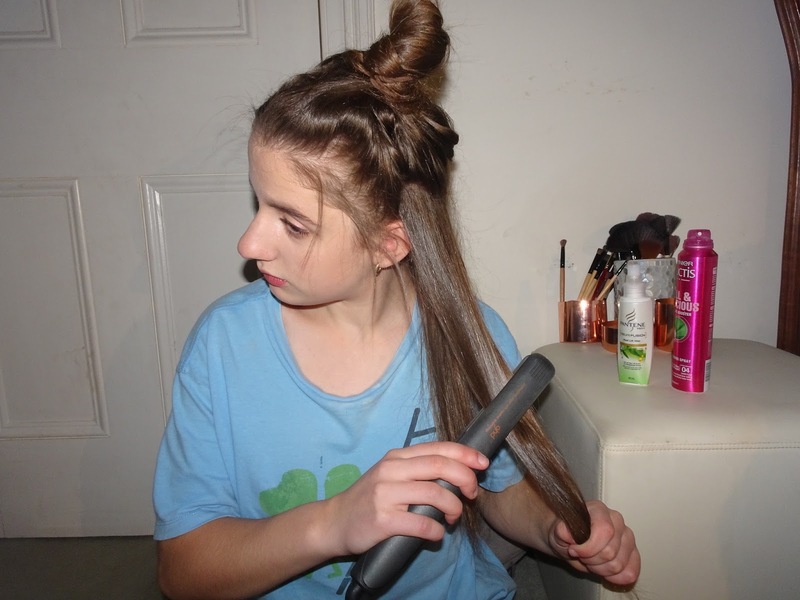 Once I finished my makeup, as I washed my hair as well I brush through my damp hair. 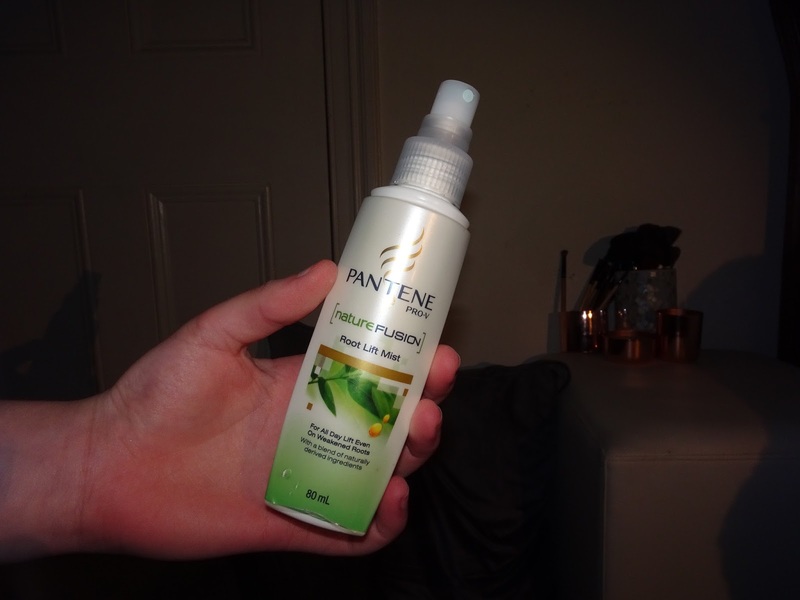 I spray this on my hair especially my ends so they don't get too damaged, or at lease don't get any more damaged than they already are. 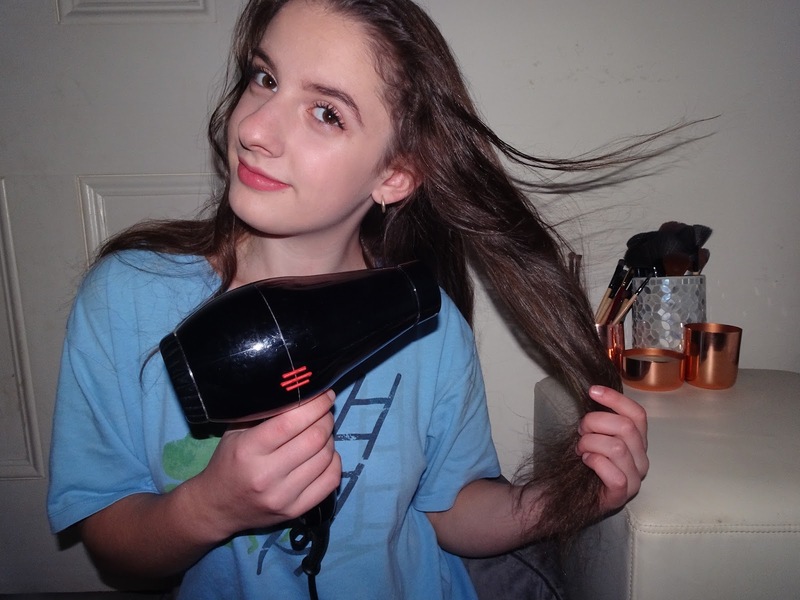 To tame my frizz conundrum I go all out with the straightener, just kidding or else I might as well have toothpicks for hair, but I guess it's probably better than having a pompom as hair right? 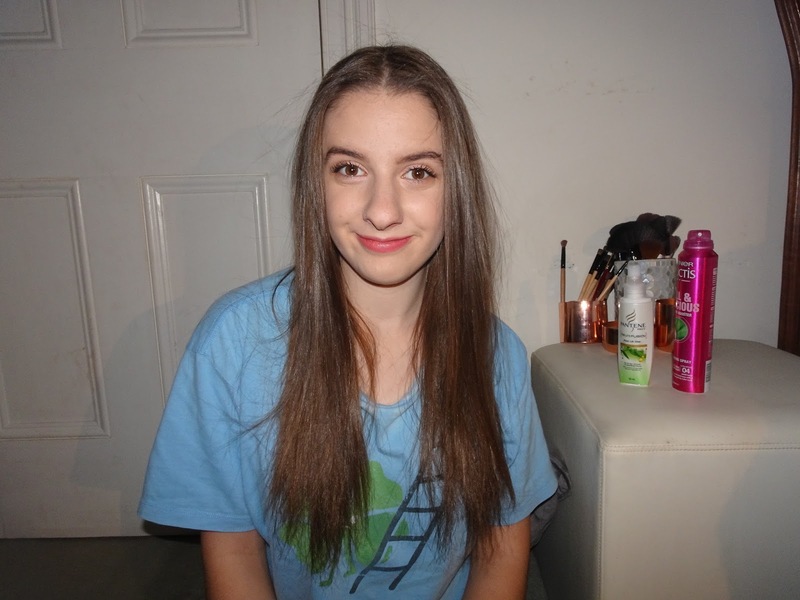 Once I have straightened my hair I use the root lift mist to, can you guess? Lift my roots and give me more volume. 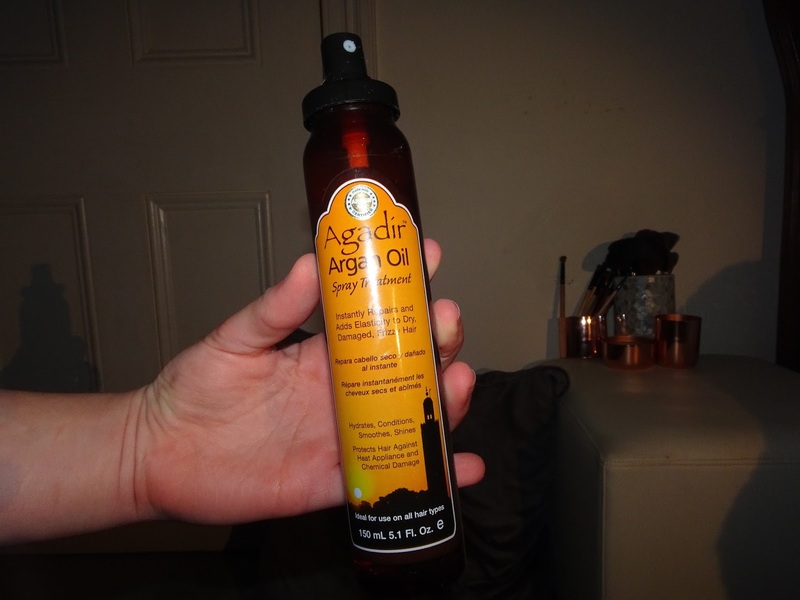 Then I use argon oil on my split ends so they don't look completely like straw (just kidding although it does actually help). 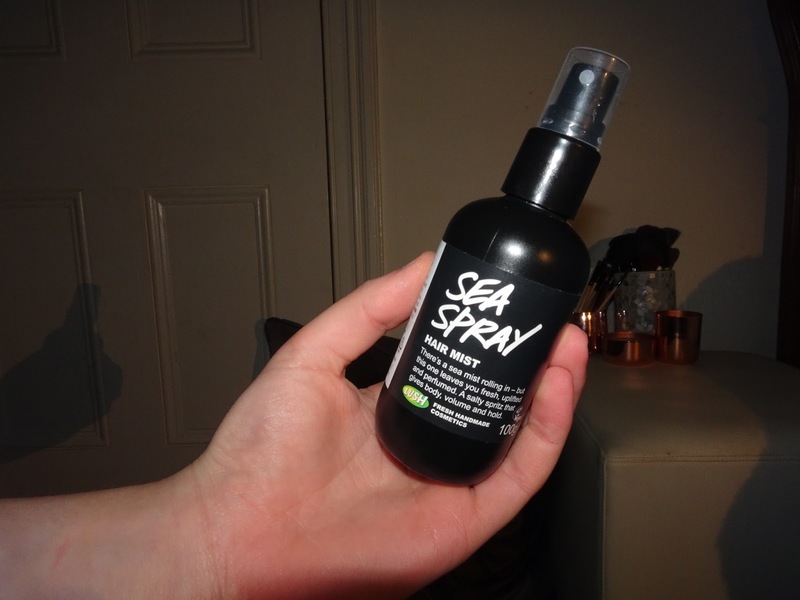 And just incase there isn't enough product already in my hair I use sea spray to give it a bit of texture, I just don't spray it in my roots or directly at my ends. 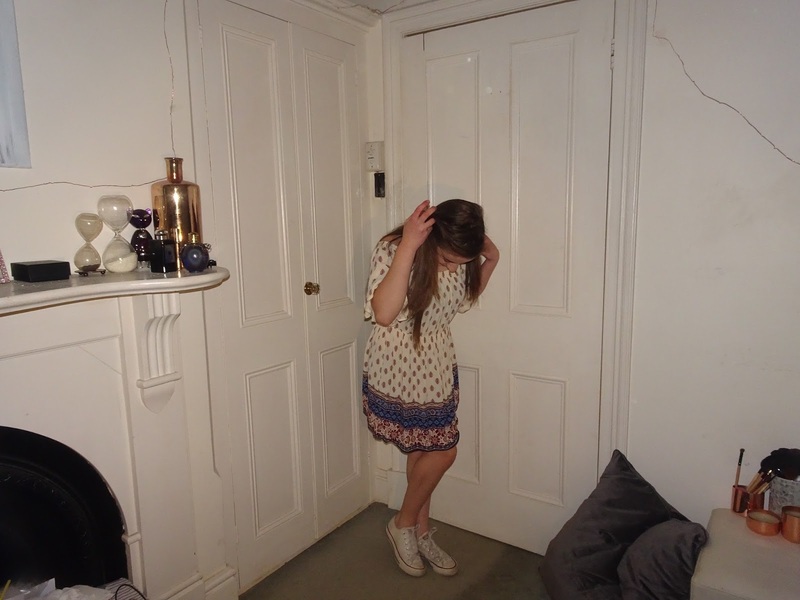 I then decided on what to wear and as it was a lovely spring day I went with a dress and converse or as I like to call it cute yet casual. 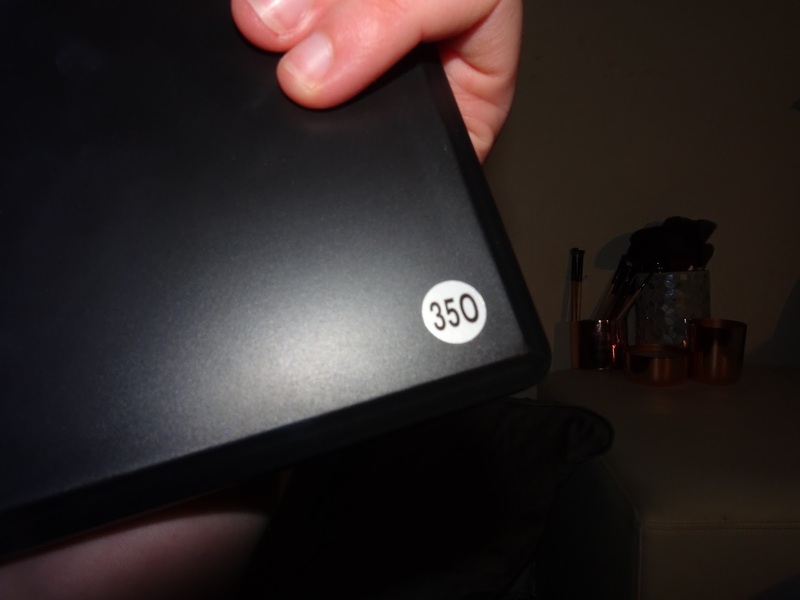 I hope you like this blog post, it's something that I haven't really ever done before. 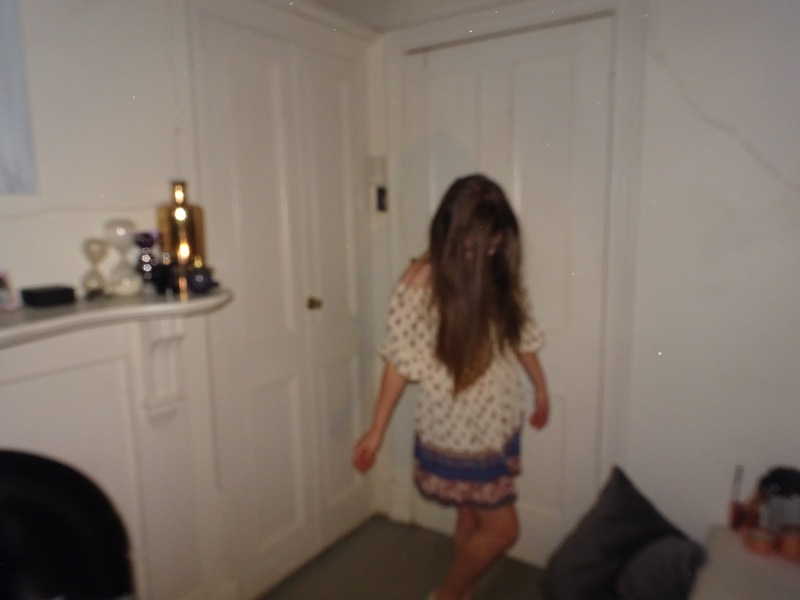 So as this is a surprise blog post, I will be posting another blog post on Sunday as usual, it will be halloween related so get excited for that!